Honourable Fraser was at the time speaking on the presentation of the Report of the Standing Orders Committee on the floor during the Fifth Sitting of the First Session of the Third House of Assembly on December 21, 2015. “In this era where the whole world revolves around good governance and transparency, you are not going to be transparent cloaked in secrecy. And I consider much of the work that is conducted in this House to be cloaked in secrecy Madam Speaker,” he said. The Opposition Leader said that one of the things he would like the Standing Orders Committee to agree upon is for the Committee of the whole House to be done in public just like the Sittings of the House are done in public. “There is nothing prohibiting us from doing it now, but we should have it enshrined in our Standing Orders and I would encourage the members if the Standing Orders Committee to look at it,” he said. Honourable Fraser said he believes the public will be impressed if they knew the kind of work that is done in the committees. “Just to see the discourse between us, the questions and answers, the feedback that comes to us and the concern that each member shares for the public good,” he said. 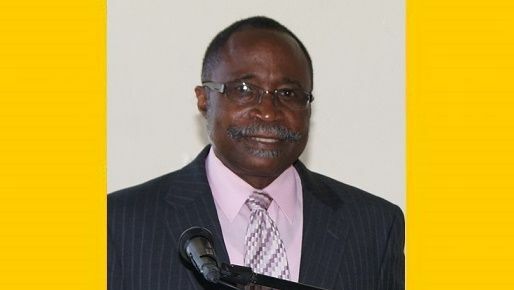 The call by Honourable Fraser echoed a similar call made during the Fourth Sitting of the First Session of the Third House of Assembly on November 2, 2015, when he said that the sittings of the Public Accounts Committee should be open to the public. The Gospel according Hugh Farley.Suitable forr Believers. Non Believers left to examine,rethink,question ,seek answers. Doubting Thomases are the nightmares of the enemies that are keepers of the enslaved. NDP is a government in darkness. Speaking for myself,everywhere my eyes look,evidence of a BVI moving forward humongous projects and little and in between projects. Must be NDP less talk more action way of doing things and country first outlook. Amazing what they accomplish in a short space of time. Good for them that they close their eyes and ears to the negative which appears to be the bulk of BVIslanders. Dragging people down putting up obstacles whining criticizing is constant and prolific from locals and the amazing part are empty pocket,illiterate hungry expats whose countries are cursed bad bad and with cultures of crimes and immorality beyond belief. ..Thanks and may the Divine continue to Bless and Destress for Progress. You drink the coolaid because you got a little government job i dear you to name two things that they have done that was not VIP projects? NDP has not started one orginal project NOT ONE!! They are inundated with unfinished projects which were started by VIP is how I interpret your comment. Finished projects versus incompletion procrastination and talktalk is not progress. It is "BS" that is all. Finishing a journey is what matters. Just imagine what NDP to do list must be like after completion of the projects that they are now completing. I may have missed it but do not recall tangible evidence of corruption. Plenty hearsay, sour grapes,envy,disbelief ,.wishful thinking by those who cannot accept success a possibility that is attainable by the people and their elected leaders. Ha ha good to see NDP started their paid blogging early. You got to be crazy or simply immoral to come on here talking about no evidence of corruption. We have not even touch other corruption in other Ministries, Mold contract, the High School wall and the orders from China. You must be one of those blind mice about wanting evidence which is overwhelming that there is corruption. My reading those documents will not determine yay or nay.There is protocol and system in place and which has been utilized on more than one occasion and for more than one of the listed items regarding NDP. The decision about guilt was assigned to specific knowledgeable and authorative individuals and none as I recall,determined that NDP or any one of its ministers were guilty of wrongdoing. I do recall that. soon after the failed attempts to pronounce guilt of corruption, NDP was reelected by a landslide and the main opposing party was deciminated to the extent that it is unlikely to be a viable group in the near future,if at all. They show and they tell in tandem and are aware, as we all are,that their unequalled integrity and trustworthiness for which they ,even as individuals , successful businessmen and professionals is their strength and therefore,the target of their enemies. As for Hugh Darley, you cannot be serious. well you cannot be serious. what about ignoring any protocol at bulldozing and moving forward on Brandywine Beach? TCPD had to issue a stop work-order because they ignored permits. Unfortunately, they just waited for paperwork and not the issue of breaking the law which they insist others follow-- not them. This is one of several breaches regarding law. One was developing a fisheries protected area at Hans Creek/ Beef Island. They write their own rules. Did you ever hear of the precautionary principle? Indication of harm, not proof of harm is the goal. By the time you prove the paper trail, corruption is already down the road. Same with bad development. "indication of harm" which demands further investigation. Proof of harm is already harming. pment of a society it has to be looked at for the benifit of the entire population. In these projects and businesses a few have and the majority of the population scrambling for bread. Thet is not equitable distribution of of goods and servicec. The economic distribution is polarised with the very rich and very poor. If this pattern continues, the government will be burdened with large population that the home for the elderly cannot accomodate. Wait!!! Daylight,daily,there will be food,housing,land,clothing and everything else diributed for free on each and every corner. No need to walk or drive to the location. The free college education which is already in place will be delivered to your bedside. Let the gov know when you need toilet paper. A messenger will be sent to the toilet where you are located. Wait Charley. Get what you deserve! Pass the word to those in need of freebies in Tola. When will action be taken for the misuse and unjustifiable spending of public funds backed up with lies stop.? Ceased. ---Its been going on for too long..It was VIP. Then NDP. Then VIP. Now NDP. It needs to stop..
VI lied when? Give us details. "The Opposition Leader said that one of the things he would like the Standing Orders Committee to agree upon is for the Committee of the whole House to be done in public just like the Sittings of the House are done in public". Do you want them to televise when you go to the rest rooms too? The purpose of the Committee sessions is to decide on matters in detail before formally bringing them into debate in the Sittings of the house. There is no need to broadcast the committee sessions. Good governance because he is on the other side looking on and will never sit on the Government side again. Where was good governance when he was a Minister? Go take a damn seat. Government business is the people's business and the public has a right to know what government is doing. Freedom of information should ba a cornerstone of governing. With rare exception, the public should be able to view all government information. The only information that should be shielded from the public is information pertaining to privacy and national security. Freedom of information is the public's right to know and it also limits misconduct. Secrecy creates an environment for misconduct and abuse of power. Thus, at HOA all meetings should be open to the public. The only exceptions are that national security information and privacy information should be protected. Secrecy give legs to all kinds conspiracy theories. Letting sunshine into and through government operations improves and builds confidence in governing. Let the sunshine in. 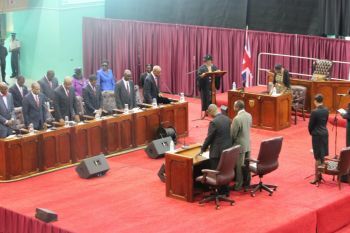 @ Observer: meetings of the house of assembly are open to public; its the committee stage that is off limits to the public and must change: government business is the public's business. @Wize Up, is not the committee( made up of HOA members) an integral part of the HOA? If so the meetings should be open save to protect and avoid damage to national security, along with privacy info.